We’d love your help. 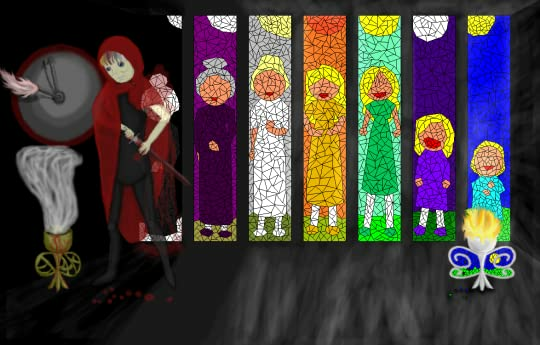 Let us know what’s wrong with this preview of The Masque of the Red Death by Edgar Allan Poe. In the midst of their revelry, a mysterious figure disguised as a Red Death victim enters and makes his way through eac The story follows Prince Prospero's attempts to avoid a dangerous plague known as the Red Death by hiding in his abbey. He, along with many other wealthy nobles, has a masquerade ball within seven rooms of his abbey, each decorated with a different color. In the midst of their revelry, a mysterious figure disguised as a Red Death victim enters and makes his way through each of the rooms. To ask other readers questions about The Masque of the Red Death, please sign up. Let the Red Death take those on the outside. Prince Prospero took steps to make sure his castle would be a sanctuary, a secure refuge where, once bolted inside, amid a carefully constructed world of festival, a thousand choice friends could revel in merriment with jugglers, musicians, dancers and an unlimited supply of wine. And then, “It was toward the close of the fifth or sixth month of his seclusion, and while the pestilence raged most furiously abroad, that the Prince Prospero entertained his thousand friends at a masked ball of the most unusual magnificence. It was a voluptuous scene, that masquerade.” Classic Edgar Allan Poe foreshadowing. The prince constructed seven rooms for his revelers. And there is all that medieval symbolism for the number seven, such as seven gifts of the holy spirit, Seven Seals from the Book of Revelation, seven liberal arts, the seven virtues and, of course, the seven deadly sins (gluttony, lechery, avarice, luxury, wrath, envy, and sloth), which sounds like a catalogue of activities within the castle walls. Keeping in mind the medieval symbolism for the color black with associations of darkness, evil, the devil, power and secrecy, we read, “But in the western or black chamber the effect of the fire light that streamed upon the dark hangings through the blood-tinted panes, was ghastly in the extreme, and produced so wild a look upon the countenances of those who entered, that there were few of the company bold enough to set foot within its precincts at all.” We are told the prince’s plans were bold and fiery and barbaric, but, as we read the tale, we see how even a powerful prince can be outflanked by the fiery and chaotic side of life itself. This seventh chamber has a huge ebony clanging clock. A reminder for both eye and ear that the prince can supply his revelers and himself with an unlimited supply of wine but there is one thing he doesn’t have the power to provide – an unlimited amount of time. 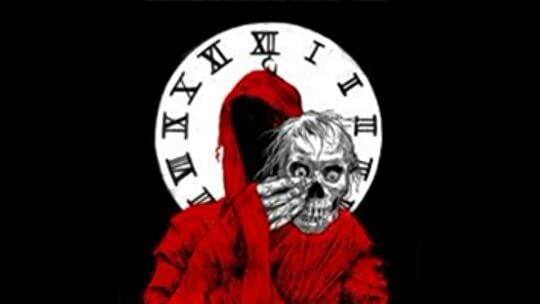 When the clock clangs twelve times, a tall, gaunt, blood-spotted, corpse-like reveler appears in the black chamber. Poe, master storyteller that he is, pens one of my all-time favorite lines: “Even with the utterly lost, to whom life and death are equally jests, there are matters of which no jest can be made.” Not a lot of merriment once the revelers start dropping like blood-covered, despairing flies. We read how there are some who think the prince mad. After all, what is a Poe tale without the possibility of madness? Additionally, when the revelers attempt to seize the intruder with his grey garments and corpse-like mask, they come away with nothing. If these revelers were minutes from an agonizing plague-induced death, how sharp are their senses, really? To what extent is their experience the play of the mind? Fascinating and lurid allegory about a group of people who, on the invitation of "Prince Prospero," lock themselves within a "castellated abbey" to escape the Red Death. The inhabitants of the abbey are provided "all the appliances of pleasure," and boy do they know how to party: "there were buffoons, there were improvisatori, there were ballet-dancers, there were musicians, there was Beauty, there was wine." It all culminates in a huge masked ball held in several colorful and gaudy chambers: "T Fascinating and lurid allegory about a group of people who, on the invitation of "Prince Prospero," lock themselves within a "castellated abbey" to escape the Red Death. The inhabitants of the abbey are provided "all the appliances of pleasure," and boy do they know how to party: "there were buffoons, there were improvisatori, there were ballet-dancers, there were musicians, there was Beauty, there was wine." It all culminates in a huge masked ball held in several colorful and gaudy chambers: "There was much glare and glitter and piquancy and phantasm.... There was much of the beautiful, much of the wanton, much of the bizarre, something of the terrible, and not a little of that which might have excited disgust." Then who shows up, of course, but a figure dressed as a Red Death victim: "His vesture was dabbled in blood--and his broad brow, with all the features of the face, was besprinkled with the scarlet horror." Prince Prospero becomes seriously pissed-off at this figure because he's spoiling all the fun, everyone is scared and freaked out, but when he confronts him he sees that there's literally nothing behind the mask, and he drops dead, and soon everyone else does too. So what is Poe saying here? (I find myself searching for the answer to this question because of the allegorical nature of the work itself.) For one thing, that you can't cheat death, but I think there's something more profound going on, a sort of sociological take on how people ignore the suffering of others at their peril. That we can't really wall ourselves off and party in the face of others' suffering because that suffering will inevitably reach us too. We can't ignore others' pain or pretend it doesn't exist or look the other way. Διαβάζοντας αυτές τις ιστορίες εισέρχεσαι με απόλυτη λογική και συνείδηση στην καταραμένη φαντασία της παγκόσμιας λογοτεχνίας και δέχεσαι κατευθυντήριες οδηγίες απο τα αρχέγονα ορμέμφυτα της ανθρώπινης μαρτυριάρας καρδιάς. Μια μόνιμη τάση προς το αλλόκοτο σε επηρεάζει έντονα, σε μαγεύει απο την πρώτη παράγραφο αυτών των μεταρσιωμένων ιστοριών, και τότε αρχίζεις να κατανοείς πως χάνεις τη λογική εξήγηση ή την ρεαλιστική ανάλυση για αυτά που διαβάζεις και που εμφανίζονται μπροστά σου για να σου μεταγγίσουν έξαρση, αγωνία, τρόμο. Η άφθαστη τέχνη του συγγραφέα σφραγίζει μέσα σου την απαράμιλλη βεβαιότητα της ευφυΐας του όταν διαπιστώνεις πως όλοι οι δαίμονες της γραφής του απορρέουν απο τη βασανισμένη, εκστατική και άρρωστη ψυχή του. Το εκπληκτικό γεγονός που δημιουργεί σοκ και δέος, είναι πως μέσα απο τους παραλογισμούς, τις εξάρσεις, τις σκιές του εαυτού μας, τα μακάβρια όνειρα και τις νοσηρές ψυχοσυνθέσεις, σε έναν ανύπαρκτο και φαντασμαγορικό κόσμο, έρχεται αναμφισβήτητα η κατάληξη σε λογικά συναισθήματα και συμπεράσματα. Kurt Vonnegut, Ray Bradbury, HP Lovecraft and Edgar Allan Poe are playing a round of golf in the Great Hereafter and discussing Poe’s short work The Masque of the Red Death. Lovecraft: You’ve been pulling it left all day, you raised your head on the swing. Bradbury: I saw you move your front foot. Poe: You need to keep your arm straighter. Vonnegut: OK! Damn it. Ed, what in the hell made you write the Red Death story? Bradbury: Masque of the Red Death, one of my favorites, t Kurt Vonnegut, Ray Bradbury, HP Lovecraft and Edgar Allan Poe are playing a round of golf in the Great Hereafter and discussing Poe’s short work The Masque of the Red Death. Bradbury: Masque of the Red Death, one of my favorites, this influenced me in so many ways. Lovecraft: Me too, the idea of a surreptitious plague being intentionally shared with the well to do was too good. Poe: I think I was struck by the historic discrepancy between the haves and the have nots in material wealth and position and yet death makes no such distinctions. Bradbury: You smacked the hell out of the ball HP, was that your 3 wood? Lovecraft: 4 wood, I know! I’m getting at least par, if I don’t choke on the green. Ed, were you making a class distinction? Poe: Nice shot HP, well yes and no. Certainly the setting of the masquerade party while the rest of the city was suffering and dying was a statement about class differences and especially with the insensitivity of the aristocracy but more than that, I wanted to convey a sense of poetic justice. Vonnegut: Damn it! I can’t buy a straight shot today! Bradbury: You raised your head again. Lovecraft: You jerked your backswing. Poe: It might help if you would put out the cigarette. Vonnegut: Thanks [lighting another] and you made a very early observation about airborne pathogens, this was published in the 1840s right? Poe: 1842, right, but honestly the infection was more of a symbolic rather than a medical set up. Wow! Nice chip HP. Bradbury: Yeah, wow, you’re shooting for a birdie, right? Lovecraft: Yeah! So Ed, what about the masquerade party? Was this just a framing device to allow the Red Death carrier to visit the party? Poe: Well, yes, but also I think I was trying to create a metaphor for the masks that we wear in society, figuratively speaking that would allow these partyers to ignore the misery of their neighbors. And remember, you twentieth century guys are far more removed from true detached aristocracy, back in the day, if you weren’t part of the in crowd, your life or death mattered very little. Whoa! Great putt HP! Lovecraft: Thanks Ed. Kurt, looks like you’re buying the beer. Vincent Price [from another hole] FOUR! I don't know how I overlooked "The Masque of the Red Death" when I was in my Poe phase a few months ago, but someone's review yesterday reminded me of it (Thanks, random Goodreads friend!). So I found a copy of it online here and gave it another read to refresh my memory. ☠ The Red Death plague is not an actual disease, though Poe may have been thinking of the Black Death, or tuberculosis, or cholera, or some amalgamation of these or other actual diseases. ☠ "Masque" could be short for the partiers' masquerade ball, or an alternative spelling of "mask," recalling the mask worn by the Red Death. 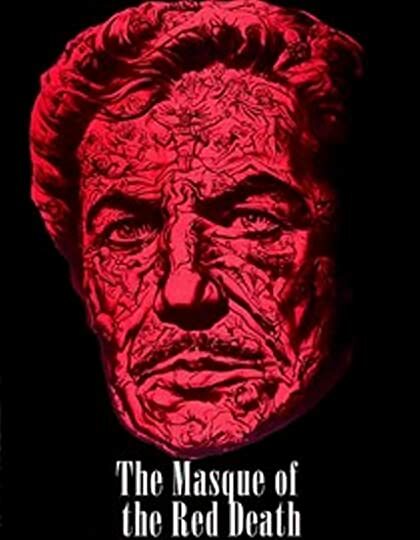 In the story's initial publication the title was actually spelled "The Mask of the Red Death." But "masque" is also defined as a "short allegorical dramatic entertainment." That's a fascinating description of what the Red Death is doing at the end of the story! Though personally I feel like most of the colors and their order are a bit random for this theory. However, I think the mystical symbolism of the number seven does play into Poe's use of it in this story. Poe stated that he disliked didactic or preachy stories. But, perhaps in spite of this dislike, he created an allegorical story here with a strong moral message. 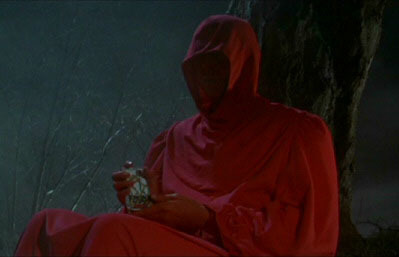 - Still from 1964 film The Masque of the Red Death, starring Vincent Price. Death waits for no man. Time can’t stop the inevitable; it can only delay it. This tale, perhaps, embodies the idea that death is an unavoidable end for all; it is one that we all must embrace because it simply cannot be escaped. Time will run out for everyone eventually. And now was acknowledged the presence of Red Death. He had come like a thief in the night. And one by one dropped the revellers in the blood-bedewed halls of their revel, and died each in his despairing posture of his fall. And the life of the ebony clock went out with that of the last of the gay. And the flames of the tripods expired. And Darkness and Decay and the Red Death held illimitable dominion over all. In this story Poe is not blatant. He is obscure, subtle and a little bit profound. There are several layers of meaning in here, which can each produce a new interpretation. Indeed, in order to escape the approaching “Red Death” Prince Prospero decides to hide in a series of abbeys. They shield out the approaching darkness, and to accompany him he takes one thousand knights and gentlemen; he only takes the so called best of what society has to offer. Together they wait out the blight that infests their land. They party and they frolic; they relax and they become complacent. Well, until a mysterious entity turns up and murders them all. It’s shapeless and spectral; it wears a red party mask and almost blends in with the gathered sycophants. This really got me thinking. What exactly is this “red death?” The ending is suggestive of a bloody death for all those gathered, but the beginning speaks a different tale. It is suggestive of a blunting of emotion and a separation from the infected fellow man. It speaks of an incoming petulance. Either way the fate remains the same for all. No man, whether he is high or low born, can escape death. Poe’s allegory hints that those who attempt to avoid the inevitable will, ultimately, be punished. That would explain why the party guests receive the most gruesome of endings. They received a real blood “red death” rather than a common passing. 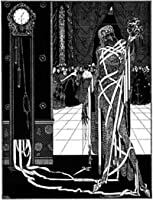 The Masque of the Red Death, written in 1842 by Edgar Allan Poe, is a surprisingly short story, which is generally regarded to be allegorical. In it, Prince Prospero is so terrified of the pestilential "Red Death", that he walls himself and a thousand wealthy nobles up in his castellated abbey, where they have a masquerade ball, moving from room to room. Obviously they are going to come to a sticky end. At the time of writing Poe's wife was suffering from tuberculosis, and there was an epidemic The Masque of the Red Death, written in 1842 by Edgar Allan Poe, is a surprisingly short story, which is generally regarded to be allegorical. In it, Prince Prospero is so terrified of the pestilential "Red Death", that he walls himself and a thousand wealthy nobles up in his castellated abbey, where they have a masquerade ball, moving from room to room. Obviously they are going to come to a sticky end. At the time of writing Poe's wife was suffering from tuberculosis, and there was an epidemic of cholera in Baltimore which he saw, so it is likely that he was very preoccupied with illness and death at the time. الساعة العملاقة تدق .. تك .. تك .. تك .. من هذا الشخص ؟ .. لماذا لا نستطيع الإقتراب منه ؟ .. ما هذه الرائحة ؟ .. هل للموت رائحة ؟ .. يإلهي لماذا توقفت الموسيقى ؟ .. انزعوا عنه القناع .. القناع .. إنه شخص ميت .. لا .. لا .. إنّه الموت الأحمر بعينه !!! In one of my Literature textbooks, this is the story the book chose to best set the example of how important setting can be to a story. Poe's incredible talent in setting mood through the most miniscule of details is powerful as he establishes dread, irony, and a hefty infusion of Gothic feel by detailing the colors of a series of rooms and what they represent to the audience and characters. The symbolism of the clock is musical and alluring; the ominous clang and the dancers reactions, with its In one of my Literature textbooks, this is the story the book chose to best set the example of how important setting can be to a story. Poe's incredible talent in setting mood through the most miniscule of details is powerful as he establishes dread, irony, and a hefty infusion of Gothic feel by detailing the colors of a series of rooms and what they represent to the audience and characters. The symbolism of the clock is musical and alluring; the ominous clang and the dancers reactions, with its dong indicating the time, further spells out a foreboding mood and tone. Even the pattern the rooms are walked through speaks volumes. The first room as light blue can symbolize brightness and innocence, skies and springs and births and new beginnings. 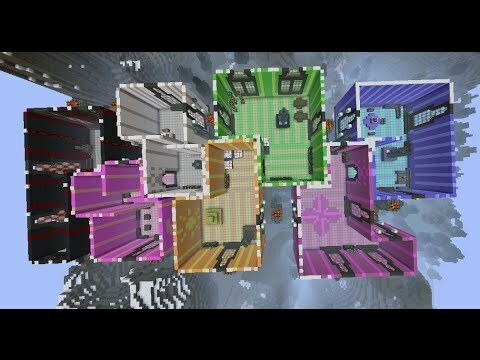 Each of the seven rooms has a window, all with the color matching the interior of their walls, the exception being the final, seventh room: black. Poe has stated that stories are best enjoyed if they can be read in one sitting. 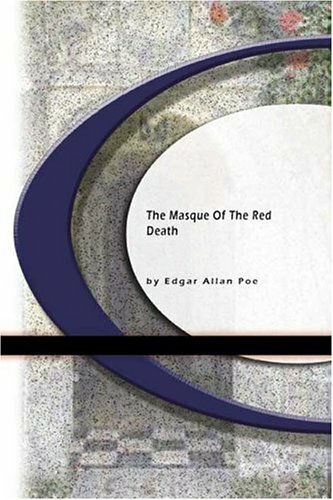 The Masque of the Red Death is indeed short, only a few pages long, and so it should speak volumes that Poe chose this short space to go into detail about the rooms. He goes into the most detail about the black, final room as its significance - death, the ultimate end, the irony - is the most important element of the story. It is also in this room that the clock beckons and waits. Without getting into details about any of the characters, Poe concentrates on setting and the most important and only qualities about the prince that the audience needs to know - his fear of the Red Plague and death, his ultimate arrogance in the face of death, believing he can seal it off and defeat it by abiding within his castle walls. The party-goers feel the same, reassured by the self-imposed power the prince claims, dancing around at midnight behind their masks, stopping only when the clock chimes its ominous call, feeling a small hesitation but quickly ignoring it again as they resume merry dancing and happily embracing false securities. Death as the ultimate, inevitable force erupts onto the party. The prince then proceeds from room to room in a circular order, indicating from life to different stages of color, to the inevitable black which is the end room, from which there is no escape. And now was acknowledged the presence of the Red Death. He had come like a thief in the night. Instantly I recognized "come like a thief in the night" as the biblical words spoken by Jesus when referring to the apocalypse. It would come without warning and begin the reign of death, as He comes "like a thief in the night." I liked this one a lot more than The Tell-Tale Heart. The Red Death is a fictional plague that may or may not have been based on consumption/tuberculosis. Prince Prospero is a dreadful man who is vulgar with his wealth while his country suffers around him. He hosts a huge ball and of course, meets a grisly demise. A lot of time was spent, it seemed, on describing the various rooms, which each had a color and theme. The revelers were all too happy to join him in celebration until things start to g I liked this one a lot more than The Tell-Tale Heart. The Red Death is a fictional plague that may or may not have been based on consumption/tuberculosis. Prince Prospero is a dreadful man who is vulgar with his wealth while his country suffers around him. He hosts a huge ball and of course, meets a grisly demise. A lot of time was spent, it seemed, on describing the various rooms, which each had a color and theme. The revelers were all too happy to join him in celebration until things start to go south. I'm loving Poe so far. I'm surprised I haven't been given recommendation for him so far but I guess not many of my GR friends have read his work. I love the premise- fearing a horrible sickness that has seized his lands, a hedonistic prince locks himself and hundreds of his friends away in a castle, with an enormous wall running the length of it so nothing can get in or out. But soon the prince's fanciful denial is shattered in a very... strange way. Basically, what my dislike of this comes down to is the length. It's only four pages, which (for me at least) simply is not enough time to become invested in a story and care about its ending. I love the premise- fearing a horrible sickness that has seized his lands, a hedonistic prince locks himself and hundreds of his friends away in a castle, with an enormous wall running the length of it so nothing can get in or out. But soon the prince's fanciful denial is shattered in a very... strange way. Basically, what my dislike of this comes down to is the length. It's only four pages, which (for me at least) simply is not enough time to become invested in a story and care about its ending. The writing is beautiful as always, but there was something missing, something I couldn't quite put my finger on. I didn't really care about the plot, wasn't even rooting for the selfish Prince Prospero to get his comeuppance. The idea of the rooms of all different colours just kinda made me shrug, the same way I shrugged in The Picture of Dorian Gray when everybody is avoiding Dorian because of his incredibly scandalous lifestyle- which pretty much entails collecting foreign instruments and fancy books. I feel that both of those things were supposed to have a greater affect on the reader than they did. Perhaps I'm missing the symbolism of the rooms, though I do have my own theory about the castle itself: that it (view spoiler)[represents the human mind, or maybe just the mind of Prospero, and as much as the enormous ballroom tries, it will never be able to shut out what comes from the black room, which I took to represent paranoia and the knowledge of impending death. (hide spoiler)] Again, I feel I must impress that this may be completely and totally wrong, and maybe my impeded grasp of symbolism is what kept me from enjoying this short tale. It is what it is. I much preferred Ligeia and The Fall of the House of Usher, which, though they're not as well-known as The Masque of the Red Death, are longer and more fleshed-out. Read it here. Maybe my favorite Poe. He has this style, that makes you feel this rush and think, dang, that's cool! I remember feeling more of that in the first read. This time, I don't know if perspectives changed or if I understood the objectivity of the piece better, but I felt a visceral terror flowing through my body from my gut that ended in an explosion of thrill and high, and bodily reactions of goosebumps and chill-bumps in the end. This Red Death guy - not someone I'd like to meet at a gathering. He wears a mask of a human face contorted in agony of plague-death, with wet, shining blood splish-splashed across his death garments. The feeling resembles that of a super-zombie, but one of extreme intelligence and god-likeness. One by one, they all fall down, before the Masque of The Red Death. 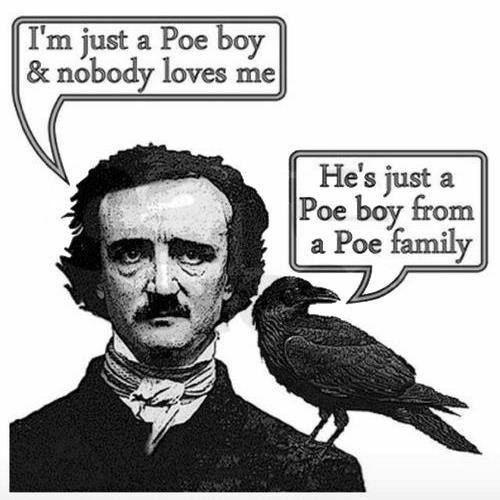 Poe, Poe, Poe. Amazing! Poe! My personal favorite horror short, pretty much ever. I don't think anyone will have gotten the full Poe Experience without reading Masque at some point. Lavish in detail and honestly, more powerful than a lot of full-length novels I've read. I wish there were a way to describe it without feeling like I'm squashing the whole point of reading it. This review has been hidden because it contains spoilers. To view it, click here. I first read "The Masque of the Red Death" when I was a junior in high school. I remember liking it but it wasn't my favorite Poe short story that I’d read at the time. I decided to reread this book when one of my friends (shoutout to Deanna) read it recently and decided it was time to see if my opinion had changed at all. One reason I was interested in reading this story was that I did like Poe's other stories at the time, and this one was always so well received for its symbolism and reference I first read "The Masque of the Red Death" when I was a junior in high school. I remember liking it but it wasn't my favorite Poe short story that I’d read at the time. I decided to reread this book when one of my friends (shoutout to Deanna) read it recently and decided it was time to see if my opinion had changed at all. One reason I was interested in reading this story was that I did like Poe's other stories at the time, and this one was always so well received for its symbolism and references in "The Shining." It seems waiting a decade to reread this short story hasn’t altered my views on liking it any. The story itself, and the ending are really well written, compared to some of the other dark Poe endings in quality. To me, the sagging middle that pulls me right out of really enjoying this story as much as I could have his other work. I get so distracted by the description here to actually enjoy the story. I think there might be more description than story. Normally I find the descriptions in Poe's work to be a huge plus, but it's honestly this particular story's biggest detriment. Je remercie mon ami Mohammed Ali, parce qu'il est la vraie raison de lire cette horrible Histoire..
Poe is such a master of the macabre and so enjoyable in print and listening to his adaptations on OTR (old time radio). Now to this story, I felt myself one of the revellers being swept from room to room, reminding me of the frenzy of the dance in Vincent's Minnelli's 1949 Madame Bovary with Jennifer Jones. Poe describes the castellated Abbey and masquerade that has one feeling the clock striking and stoppage of the music real. The Prince tries to escape Red Death as Giovanni Boccaccio tries to w Poe is such a master of the macabre and so enjoyable in print and listening to his adaptations on OTR (old time radio). I still consider this to be the finest thing Edgar Allan Poe ever wrote. It is his greatest work in my opinion. Almost every line in it is beautiful in some way and the overall effect is considerable. I first read it back in school, but I was rereading it on audiobook, read by Basil Rathbone. Let me tell you, he does a good job. All the hairs on the back of my neck stood up. And it has that haunting, echoing last line "And Darkness and Decay and the Red Death held illimitable dominion over all". This was a re-read of one of my favourite Poe stories. And I loved it like usual. This short story is hands down one of my favorite Poe stories! I love the symbolism and imagery in this tale. Basically, the "Red Death" is a plague that is wreaking havoc on the town in the story and Prince Prospero decides to lock himself, and many of his friends, away in his home. He ultimately ends up hosting a very grand masquerade party and while him and his people are lavishly partying it up within the confines of his sanctuary, everyone else is dying a terrible death. There are seven uni This short story is hands down one of my favorite Poe stories! I love the symbolism and imagery in this tale. Basically, the "Red Death" is a plague that is wreaking havoc on the town in the story and Prince Prospero decides to lock himself, and many of his friends, away in his home. He ultimately ends up hosting a very grand masquerade party and while him and his people are lavishly partying it up within the confines of his sanctuary, everyone else is dying a terrible death. There are seven uniquely decorated rooms in his house where the party-goers roam while the celebrations never cease; and in the last room (decorated in black and red) there is an ebony clock which has a very eery and distinct chime that marks the end of an hour. When the clock chimes, everyone inexplicably pauses and the music stops until the clock is quiet. 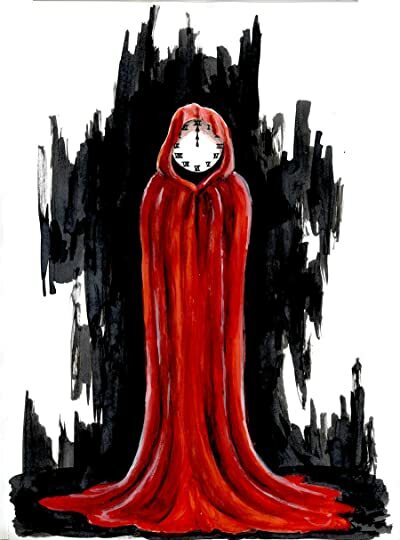 When midnight arrives, everyone is confronted with a terrifying figure, the "Red Death". As you can imagine, some very unfortunate and gruesome things follow the appearance of this figure. La Máscara de la Muerte Roja es, sin duda alguna, de mis cuentos favoritos de Poe. Lo leí por primera vez hace unos 8 años y quedé fascinada por la historia del Príncipe Próspero, por su soberbia, su excentricidad y, sobre todo, por el invitado inesperado que se escabulle en su castillo. Quizá uno de los mejores elementos de este relato es lo palpable que se vuelve todo lo que va describiendo Poe: las siete estancias de diferentes colores, la luz de las antorchas, los bailarines enmascarados, lo La Máscara de la Muerte Roja es, sin duda alguna, de mis cuentos favoritos de Poe. Lo leí por primera vez hace unos 8 años y quedé fascinada por la historia del Príncipe Próspero, por su soberbia, su excentricidad y, sobre todo, por el invitado inesperado que se escabulle en su castillo. Quizá uno de los mejores elementos de este relato es lo palpable que se vuelve todo lo que va describiendo Poe: las siete estancias de diferentes colores, la luz de las antorchas, los bailarines enmascarados, los músicos y las campanadas del reloj de ébano. La atmósfera de opresión, inseguridad y terror que va construyendo Poe a lo largo del relato es algo que nunca se olvida. Incluso cuando has acabado el cuento y ves el desastre en el que se ha convertido una velada de un baile de máscaras, sigues queriendo estar allí, recorriendo esos pasillos y llegando a la habitación negra. "En los corazones de los hombres más temerarios hay cuerdas que no se dejan tocar sin emoción. Hasta en losmás depravados, en quienes la vida y la muerte son siempre motivo de juego,hay cosas con las que no se puede bromear." Esta historia es tal vez una de mis favorita de Poe. La manera en que describe a la muerte roja, el final que da a los que la sufren y sus apariciones...tenemos todos los elementos que nos llevan a que esta historia llegue hondo.